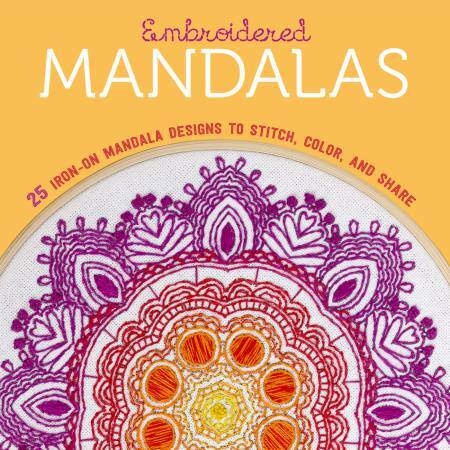 Get a jump start into embroidery with these 25 beautiful mandala transfers. Simply iron these designs onto your fabrics and start to embroider. Each pattern can be used up to five times! Embroidery can be calming and meditative, and these mandalas are perfect for anyone who enjoys the relaxation of coloring but is ready to try something new. Includes basic embroidery instructions to get newbies started.